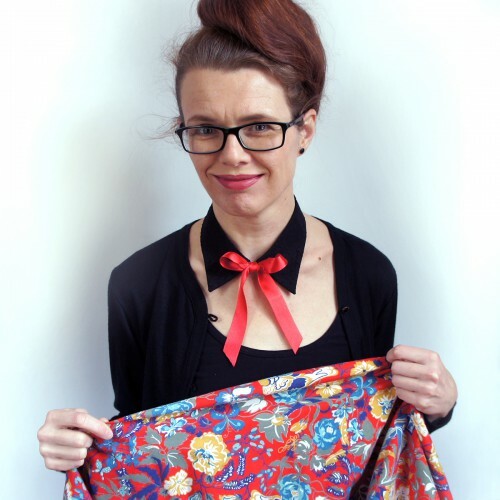 ... produced from used and unused fabric combined with a new haberdasher, internal reinforcement and ribbons. 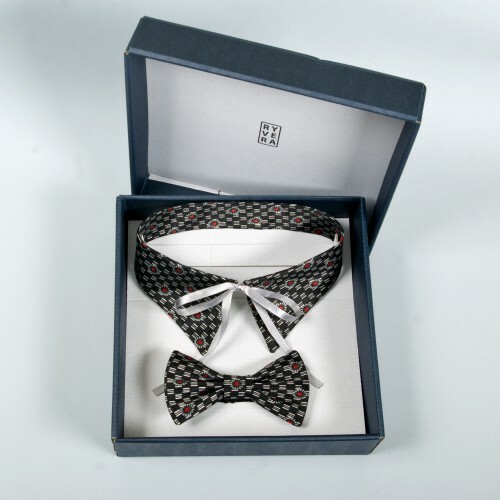 Collar Hamam II is made of patterned mixed fabric, agrees with satin ribbons black. 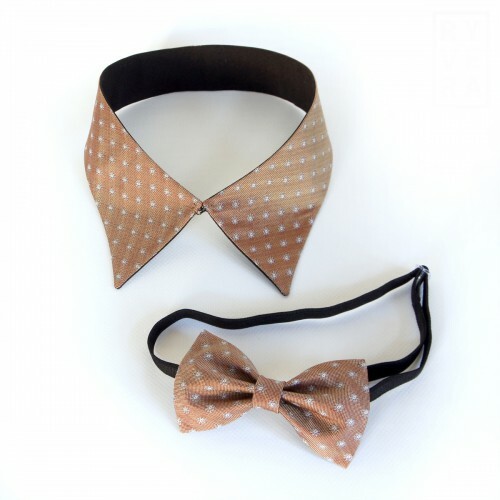 The length of the inner circumference of the collar about 44 cm length, is regulated ribbon. 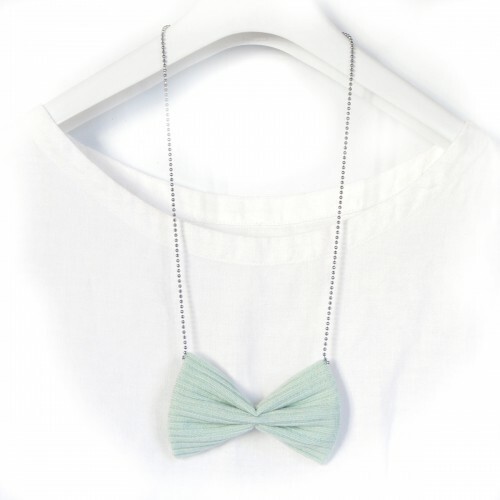 Necklace Bow tie Mentol is sewn from mixed fabrics and hung on chain. Size of butterfly is 11x7cm, length of the chain is 66 cm. 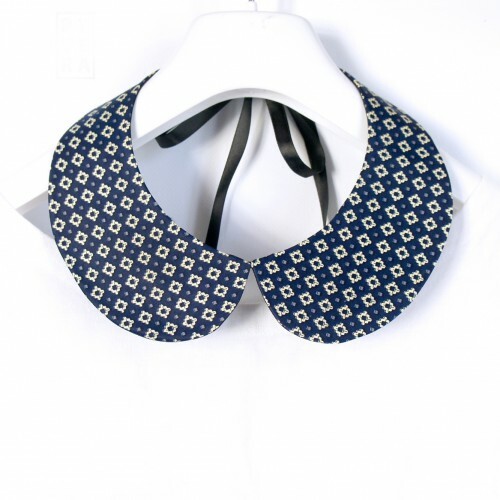 Collar Madisonské mosty is made of patterned fabric. Undertakes satin ribbons. 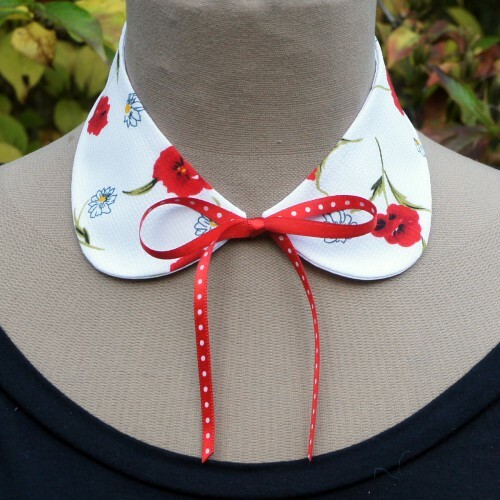 The length of the collar is 40 cm. Collar West Side Story is made from mixed fabric. Turns on the hook and eye. 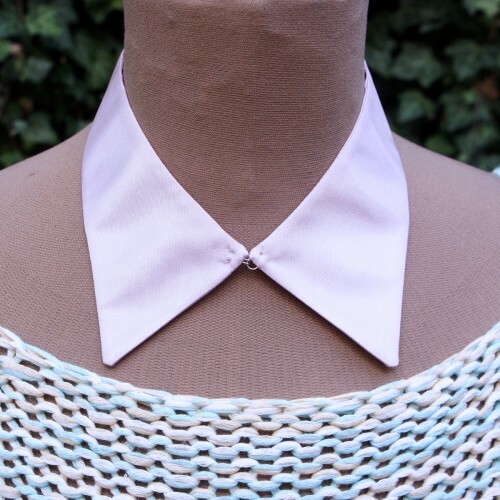 The length of the collar is 40 cm. Collar Věk nevinosti I is made of patterned fabric. Undertakes satin ribbons. 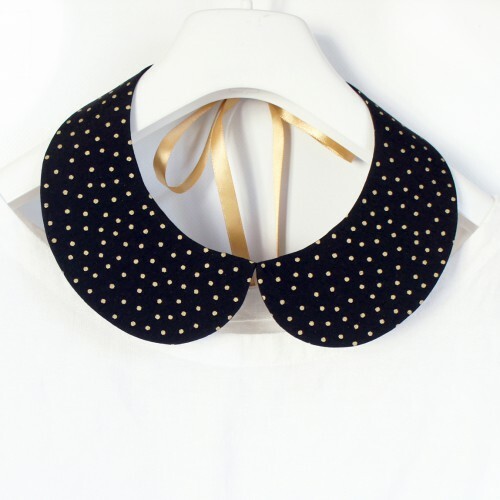 The length of the collar is 38 cm. Collar Až vyjde měsíc II is made from cotton fabric. Turns on the hook and eye. Collar length is 40 cm. Collar Puntíkatý... is made from cotton fabric. Turns on the hook and eye. Collar length is 40 cm. 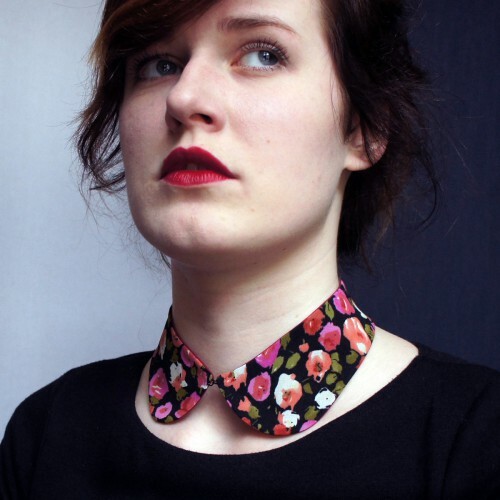 Collar Zlomené květiny is made of flowered fabric. 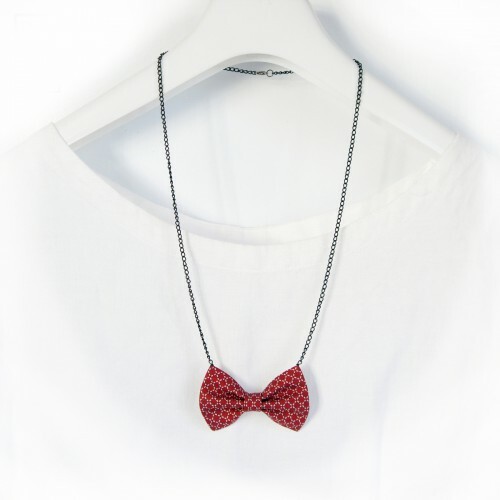 Bound with satin ribbons red with white polka dots. 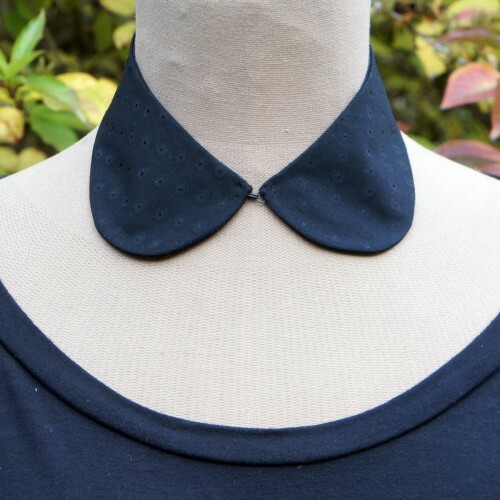 The length of the collar is 37 cm. 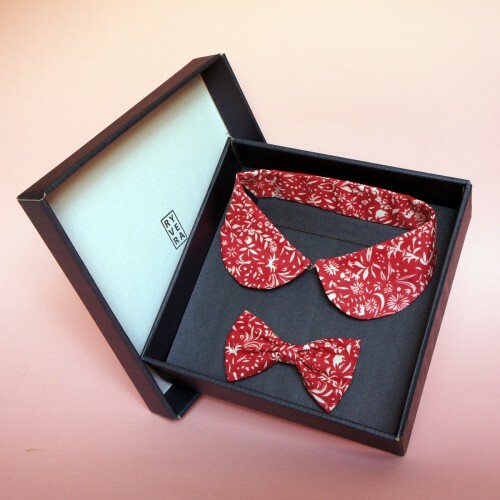 Collar Škola základ života is made from cotton fabric. Undertakes satin ribbons ivory. 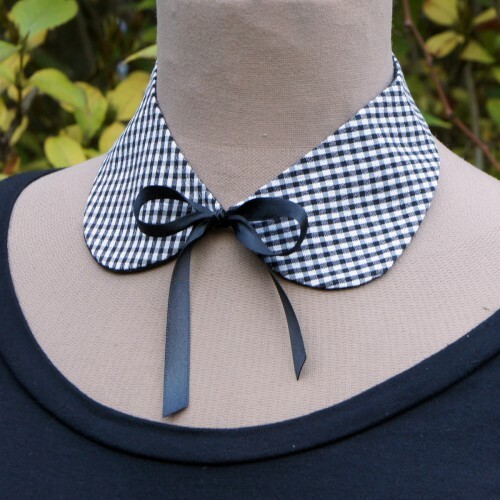 The length of the collar is 40 cm. Collar Mravnost nade vše is made of mixed fabrics. Undertakes satin ribbons. The reverse of a collar is black, cotton. 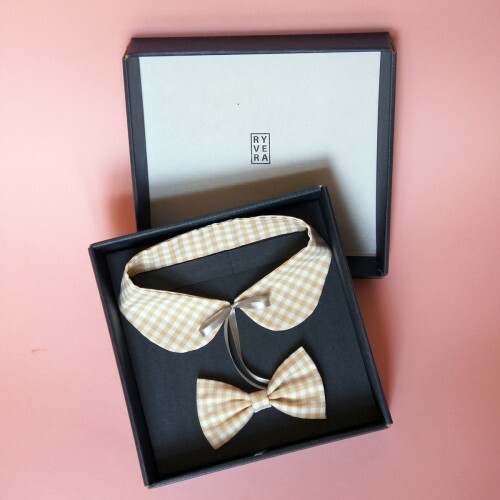 The length of the collar is 39 cm. 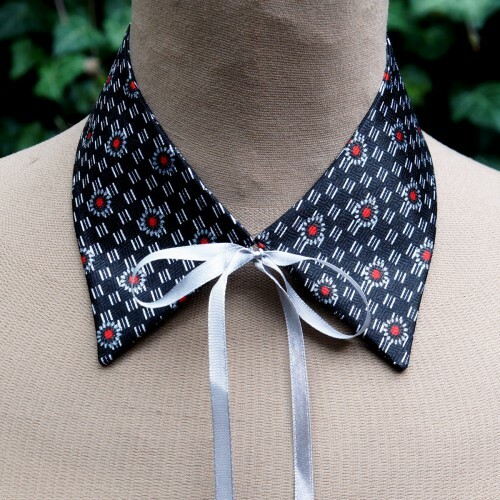 Collar Noc na zemi l is made of black fabric with black polka dots embroideret. Turns on the hook and eye. 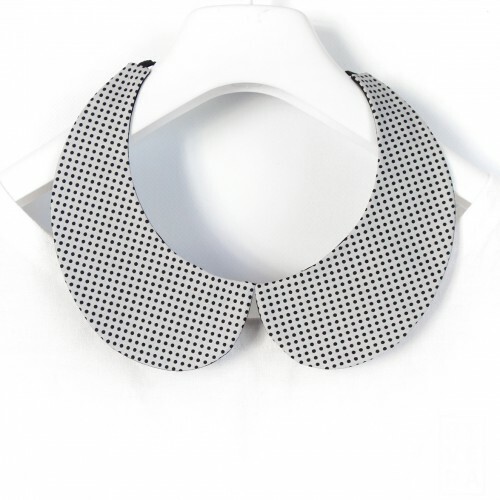 The length of the collar is 36 cm. Collar Purpurová růže z Káhiry is made of patterned fabric. Undertakes satin purple ribbons. 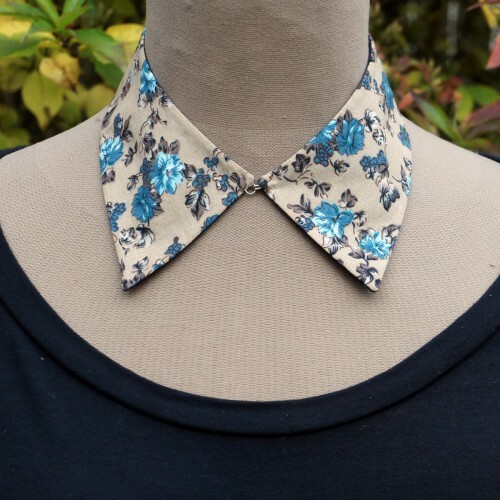 The length of the collar is 40 cm. 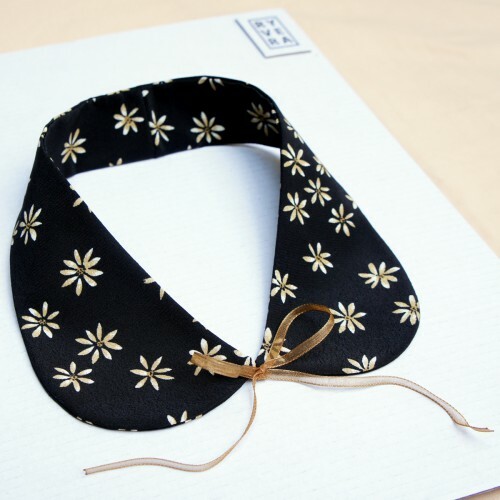 Collar 500 dní se Summer is made of flowered fabric. Substrate for flowers is black. It binds sand-colored ribbons. 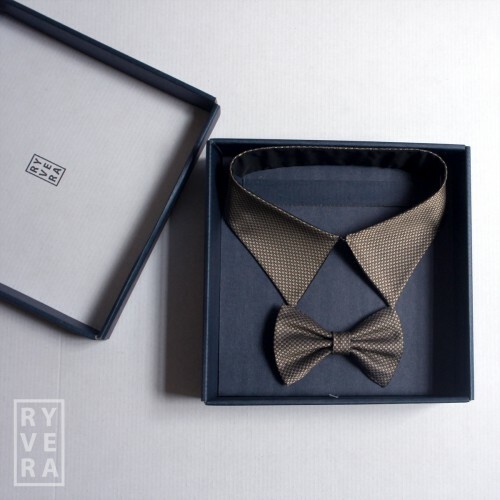 The length of the collar is 40 cm without ribbons. 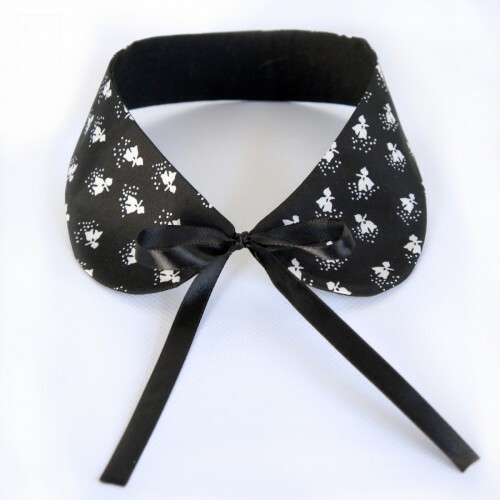 Collar Madeira is made of cotton fabric, agrees with satin ribbons. 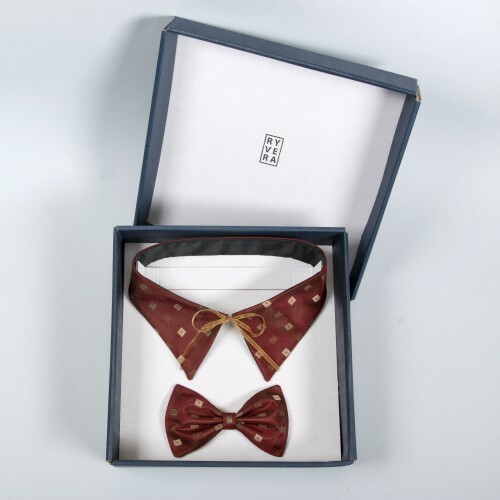 The length of the inner circumference of the collar about 44 cm length, is regulated ribbon. 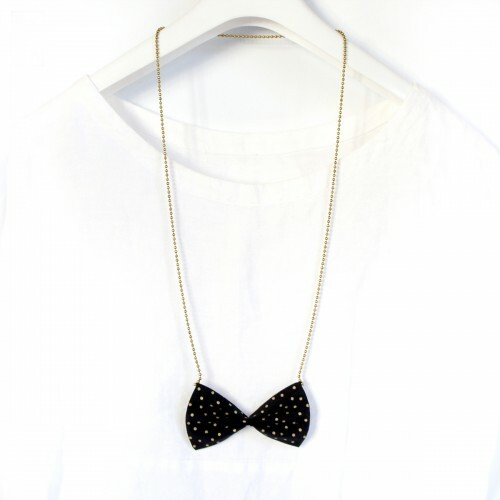 Necklace Bow tie Červený a černý is sewn from mixed fabrics and hung on black chain. Size of butterfly is 10,5x6,5cm, length of the chain is 60 cm. 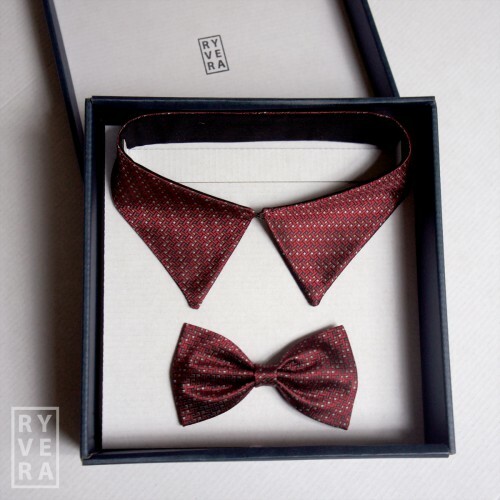 Bow tie Madeira is sewn from cotton fabrics and hung on a ball chain. Size of butterfly is 9x5cm, length of the chain is 78 cm. 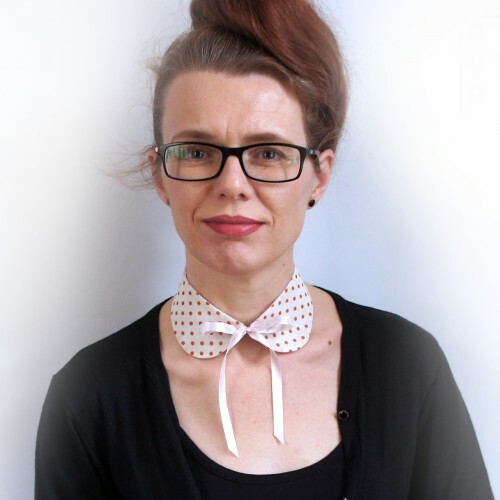 Bow tie Příběh z Filadelfie is sewn from mixed fabrics and hung on a ball chain. Size of butterfly is 10,5x6,5cm, length of the chain is 80 cm. 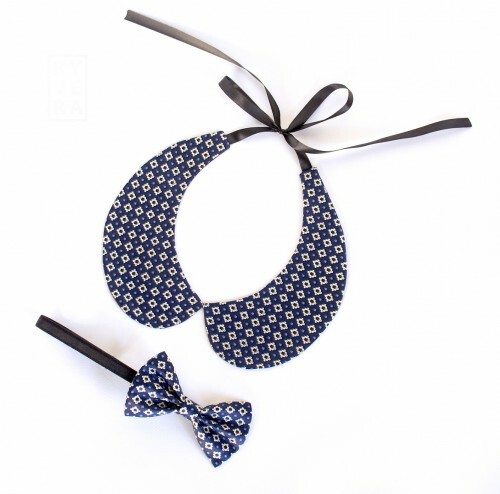 Mini collar is made of patterned mixed fabric, complete with a black chain. Turns classic chain clasp. 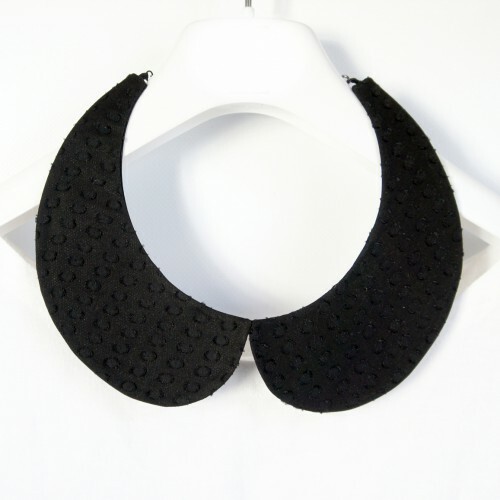 The length of the inner circumference of the collar is 44 cm. 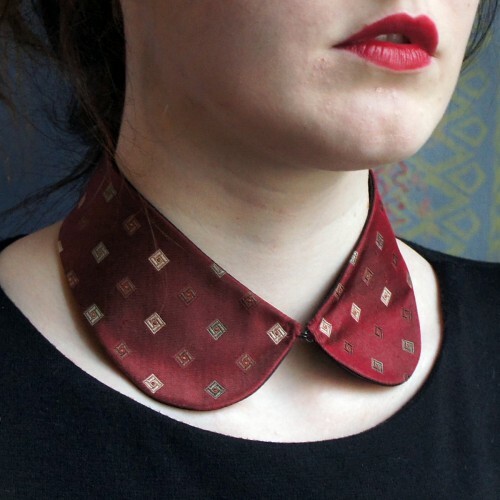 Collar Věk nevinosti II is made from mixed fabric. Turns on the hook and eye. 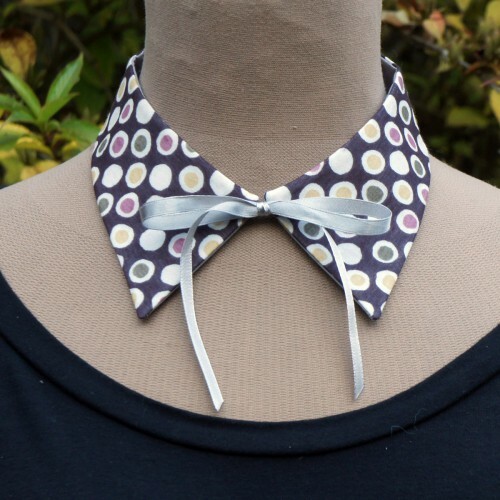 The length of the collar is 40 cm. 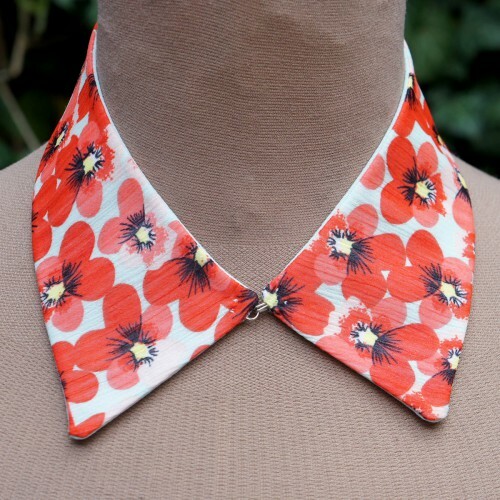 Collar Zahrada is made of flowered cotton fabric Turns the loop and hook. The length of the collar is 39 cm. 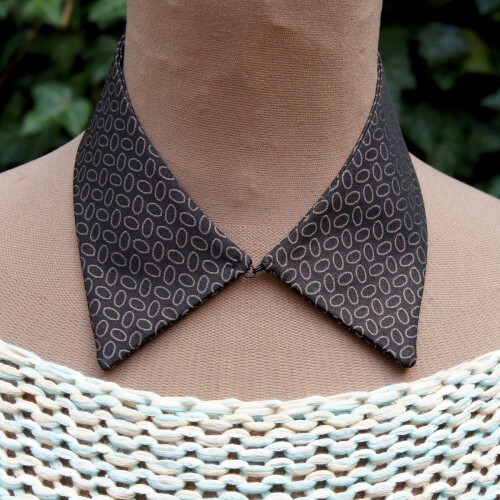 Collar Persona ll is made of patterned fabric. Undertakes satin ribbons. 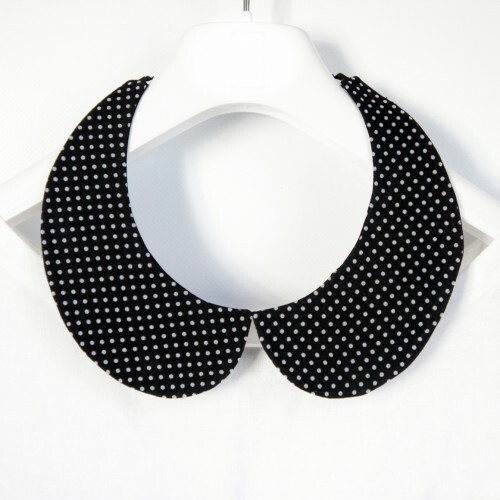 The length of the collar is 37 cm. Collar Škola základ života ll is made from cotton fabric. Undertakes satin ribbons. 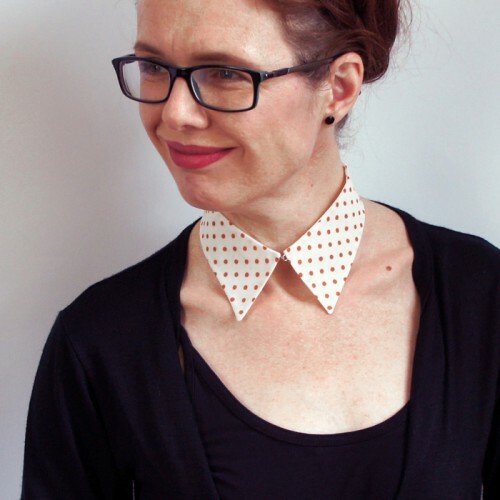 The length of the collar is 40 cm. 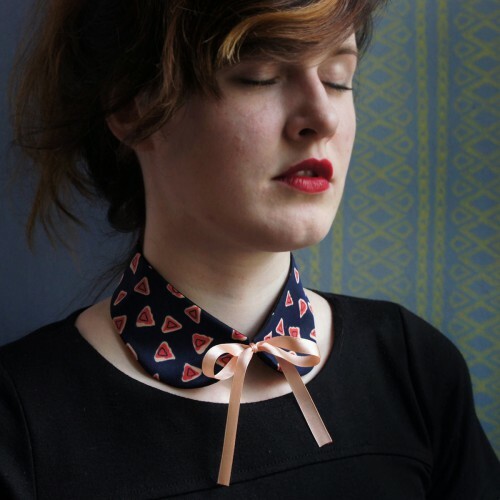 Collar Věk nevinosti I is made of patterned fabric. Undertakes satin ribbons. 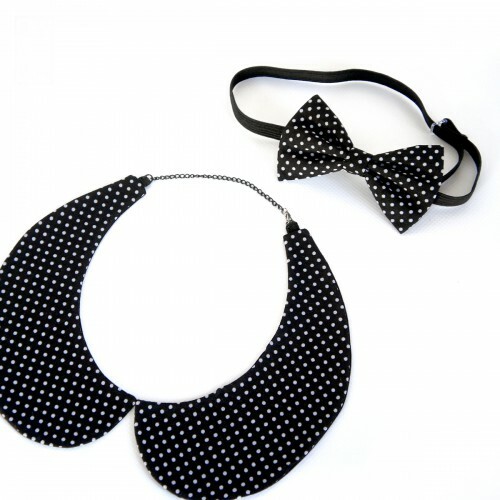 The length of the collar is 39,5 cm. 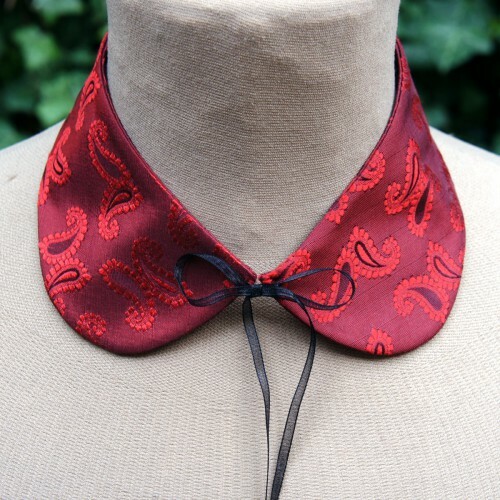 Collar Anglický pacient is made from mixed fabric. Turns on the hook and eye. 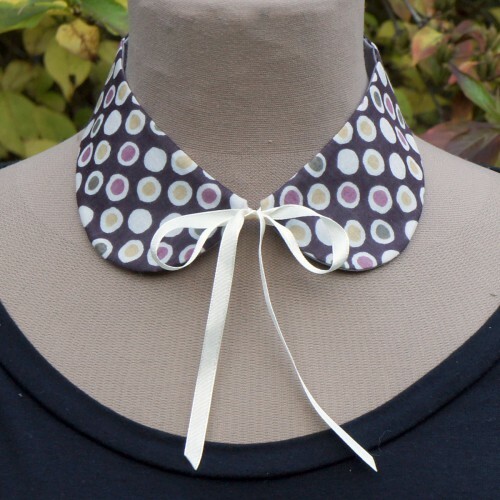 The length of the collar is 40 cm. 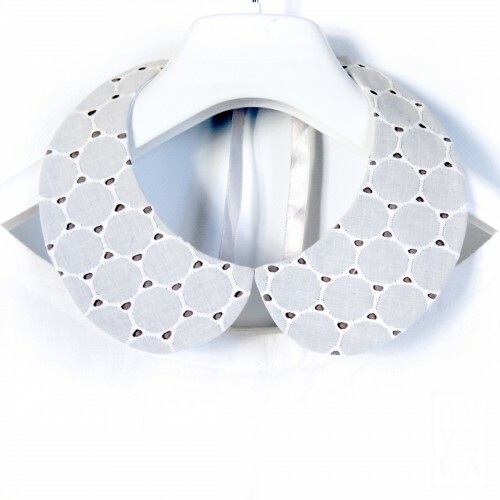 Collar Anglický pacient is made from mixed fabric with satin gloss . Turns on the hook and eye. 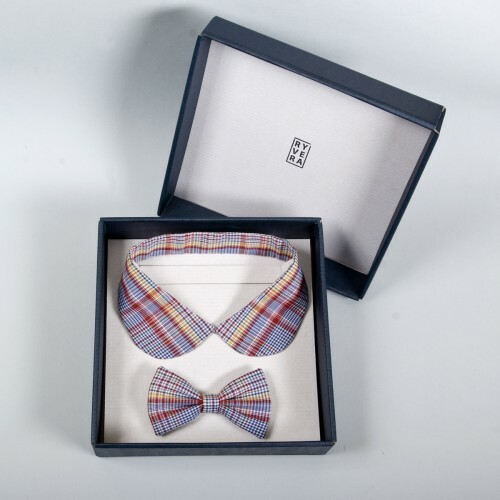 The length of the collar is 36 cm. 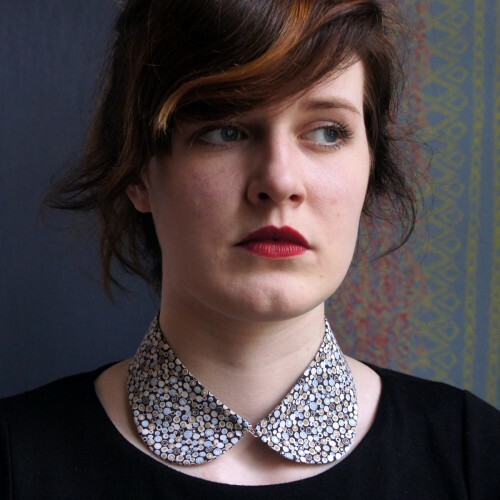 Collar Flashdance ll is made of patterned fabric. Undertakes satin ribbons apricot. 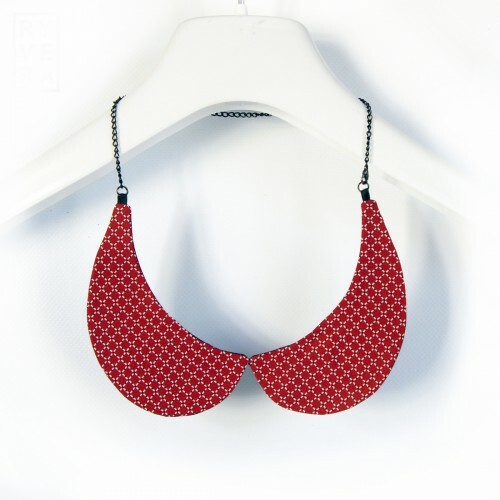 The length of the collar is 40 cm. 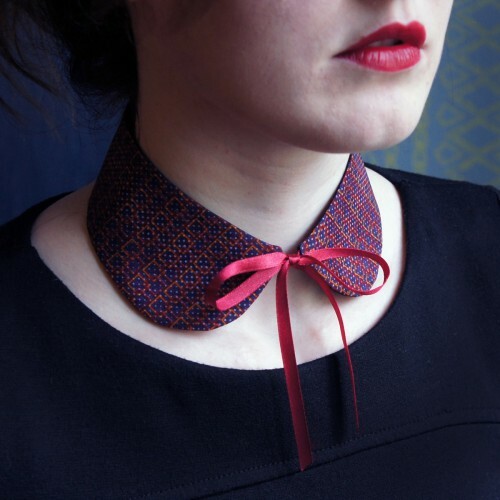 Collar Scarlet Letter is made from red tie. 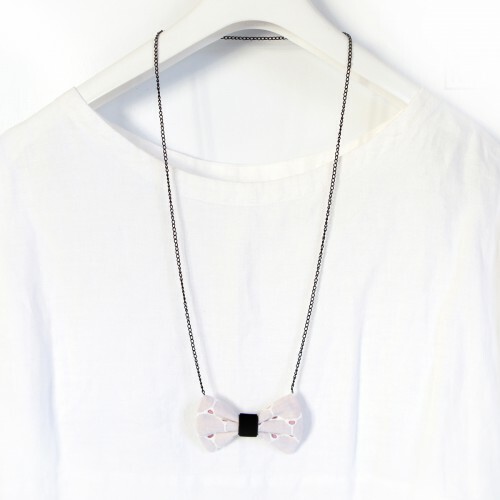 It attaches to a black organza ribbon. 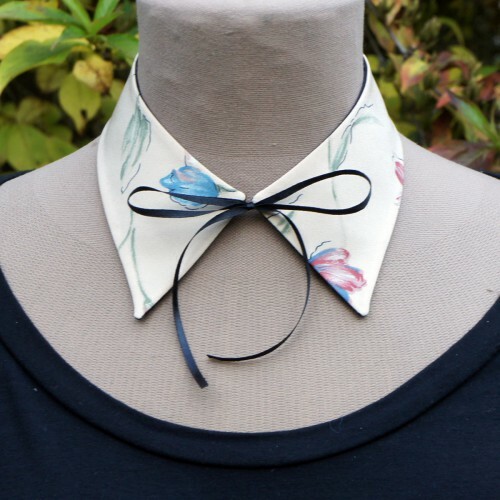 The length of the collar is 40 cm.